Our project work continues all throughout Michigan. We have roofing Algonac Michigan experience as well. With just over 4,000 residents in the city, the citizens of Algonac Michigan all seem to know each other very well. That means they tell each other about whats going on in their lives, like when they get a new roof installed. We recognize and appreciate our dependence on a strong referral base in order to continue our successful growth. Especially in these smaller cities, we really do go above and beyond to ensure 100% satisfaction. According to Michigan Place Names, a book by Walter Romig, Algonac was first settled by John Martin in 1805. The area was then known as Manchester or Pointe Du Chene (“point of the oak”). In 1836, it was the fourth village laid out on the St. Clair River. In 1863, it was described as containing “a church, two or three saw-mills, a grist-mill, woollen factory, and about 700 inhabitants. 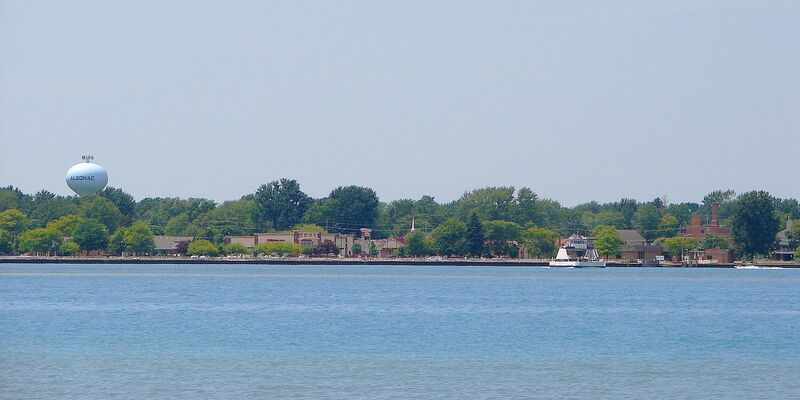 Algonac is situated on what is called “the largest fresh-water delta in the world”, at the mouth of the St. Clair River. Many canals wind their way throughout the city, which has given Algonac its nickname of ‘Venice of Michigan’. Algonac was the birthplace of Emily Helen Butterfield, artist and first woman to be licensed as an architect in Michigan. She was famous for innovations in church architecture. It was also the home of Chris-Craft boat company; the maker of the first mass-produced speed boats. It was also the home of Gar Wood the first great speed boat racer. Click here for city of Algonac official website.